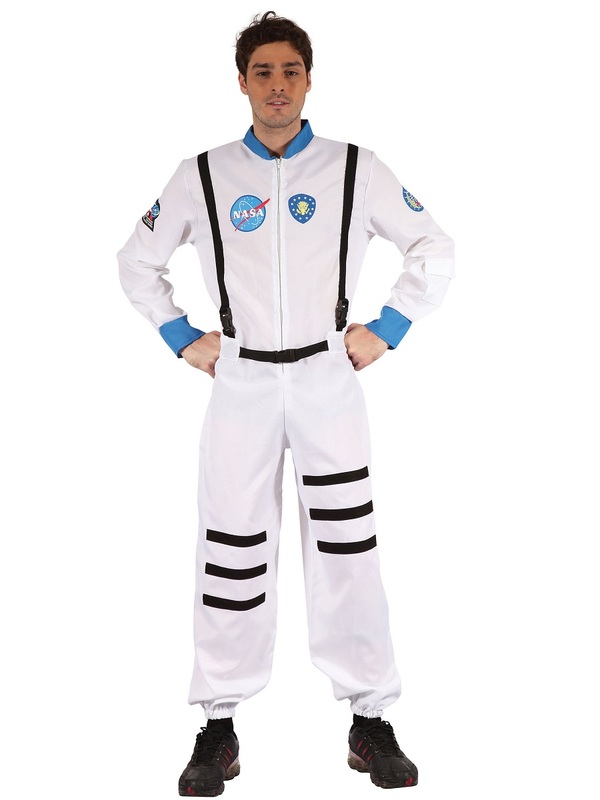 You don't have to be a Rocket Scientist to realise that Our Adult Astronaut Costume is out of this World! 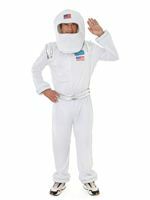 Prepare for Blast Off and Become the Ultimate Space Man with our Fantastic Adult Astronaut Fancy Dress Costume. The Guys at NASA will have nothing on you! 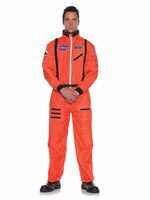 The Costume comes complete with an All in One White Zip Up Jumpsuit with the attached Black Harness Detail around the Shoulders and Waist. 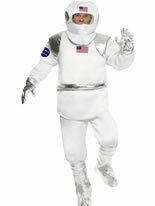 The Chest of the Space Suit also features an the 'NASA' Logo Badge along with Badges on the Arms. Completing the Spaceman Jumpsuit is the 3 Black Stripes on each Leg along with the Elasticated Ankles. One Size 38" - 42" 30" - 34" 60"